Have you been using more energy lately? Have you been charged for correct usage or an estimate? Worried about how you will pay? What can you do to reduce future bills? Has your latest energy bill has given you a shock? Opening bills is never a fun experience, but that energy bill at the end of winter can feel enormous. But you aren’t alone, in the UK a standard household spent £1,117 powering their home in 2017. While average energy costs have dropped a little since 2013, many families are feeling the pinch, especially in winter. Check the period that your bill covers, which will be near the top of the first page). If your bill is for three months of a cold winter, then extra heating is probably the cause of the high bill. If your family has been at home more than usual, like in the school holidays, or you have had guests, then you will be using more energy. Have you bought any new appliances? Using a tumble dryer, air conditioning unit or extra fridge will push up your energy bill. After thinking through your usage, if you still don’t understand why your bill is so high, it’s time to look at the meter reading. Let’s take a look at some ways you can save. If you are giving them your meter reading a couple of times per year, then incorrect estimates won’t matter. If you overpay on one bill due to a high valuation, then the next bill will be lower when you give them the actual meter reading. If you haven’t read your meter before, you can read how here (electricity) or here (gas). If your energy usage is still way above average then take the chance to ask your supplier to check if there is a problem with your meter. So, you have checked your meter and still aren’t sure what has caused your bill to skyrocket? The next place to look is what you are paying for your energy. Your energy tariff (or contract) determines how much you pay for each unit of energy used. Fixed rate tariffs run for one to three years, and when they expire your provider will automatically put you onto their standard variable rate, though they are required to contact you to let you know that your tariff is about to finish. If you have been on a fixed rate for some time and you have now switched to the latest variable rate, then this could explain a jump in the price of your bill. Compare the tariff sections to see if this is what has happened. If you don’t have an old bill then “variable” in the tariff name and no tariff end date is clues that you have moved to an expensive variable rate. Rest easy that this expensive bill can be a one-off. If your tariff has ended then this is a great time to shop around and get yourself a great new deal. At this point you have run through all these checks and not found any errors, it looks like unfortunately, you will need to pay the bill. If you are concerned about how you are going to afford the bill, then you should ring your energy supplier. They will be able to offer you advice on how to save on future bills, and can usually also set up an instalment plan, so you do not need to pay the whole amount straight away. It hurts having to pay a big energy bill, but you can help out both your future self and the planet by implementing some energy-saving techniques now. There are a bunch of different ways to approach this, let’s start with the actions that will take the most significant chunks out of your bill. Energy industry watchdog Ofgem says that 60% of consumers don’t remember the last time they swapped energy providers, and by shopping around you can save around £300 a year. Check your tariff end date; it will be on your bill. If you are within 49 days of the end of your tariff period, or if it doesn’t state an end date, then you are free to change suppliers. Get started by getting some quotes from other providers. You can do this through our comparison tool which will give you personalised quotes for your region and average usage. You can also call your provider to see if they can offer you a better deal. They will be extra motivated if you are armed with some alternatives from other suppliers. Suppliers will give you a discount for paying with a direct debit, so sign up if you can. Buying your gas and electricity from one supplier (dual supply) will also get you a discount – make sure you ask for this if you aren’t getting one! If you are a pensioner or are on a low income, there are a range of financial support schemes there to help. Take a look at our articles on the Winter Fuel Payment, Cold Weather Payments, Warm Home Discount Scheme. The average household uses two-thirds of its energy on heating. Living in a warm house is essential to stay happy and healthy. But there are some things you can do to save money without needing to wear a coat inside. First, when a possible move to cheaper energy sources. Electricity is far more expensive than other energy sources, so if you are on the gas grid, then you will save money with gas heating. Use timers to keep your living areas toasty when you are using them. Central heating systems come with a timing function, and you can buy timers to use with plug-in electric heaters. You can set the heating to come on before you wake up and then again as you are arriving home in the evening. That way you won’t be wasting money heating your house while you are away during the day. Similarly, you can set the bedrooms to have a blast of heat before you go to bed. This last idea won’t be for everyone, if you feel the cold maybe skip this one. 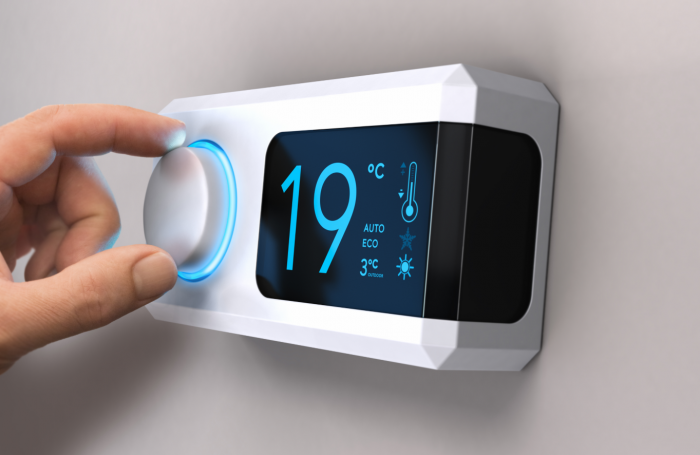 By just turning down your thermostat 1 degree, you can save around 10% on your heating costs in the UK’s climate. If you currently have your system set on a high temperature, then give it a try and see if you notice the difference. You know the drill, turn off the lights when you leave the room, dry your clothes on the line, take shorter showers. Changing energy consumption habits can make a long-term difference to your energy bills. And can make you feel good that you are doing your bit for the environment. Get in touch with the Energy Saving Trust if you would like more ideas to conserve energy in your home. Hopefully, this article has helped you get to the bottom of your energy bill, or give you some ideas to ensure its a one-off and save £s on your bills. Let us know if you have any more ideas to cut energy costs.